I am not surprised by the different points of view with regard to the method of trial of the mutineers, and perpetrators of other crimes, which took place at Pilkhana on February 25-26. There is no dispute about holding the trial as soon as possible and exemplary punishments for those found guilty. The dispute is only about the method. I have heard and read many arguments in favour of and against trial by a court martial, the limitations and problems posed by the current laws, and the ways of surmounting those should a decision to try by a court martial is taken. I do not intend to suggest any method of trial but wish to bring certain things to the notice of the authorities and the general readers in respect of courts martial. A court martial has a peculiar aspect which alone may compel the authorities to hold trial by courts administered by the civil authorities i.e. courts of sessions, special tribunals, etc (I will call them civilian courts for the sake of convenience). If any argument was raised regarding this peculiar issue, I must have missed it. This special provision makes it difficult and perhaps impossible to try an accused if he is not available in the court. Procedure for trial in absentia is not given in any service law (Army Act 1952, Naval Ordinance 1961, Air Force Act 1953). As a matter of rule, a deserter is not tried by a court martial in absentia. The trial commences only after the deserter surrenders or is apprehended. Sometimes a trial starts years after the accused is found missing from his unit. The accused in a court martial has to be given the opportunity to state whether he objects to being tried by any officer sitting on the court (Section 104 (1) of Army Act). Members of a court martial have to be administered an oath in open court (i.e. in the presence of the accused). A note under Section 129 of the Air Force Act says: "If the accused is not present when the court is sworn or affirmed the proceedings are invalidated." Such notes have the approval of the Ministry of Defence. Section 80 (2) of the Army Act states: "If, on account of the illness of the judge advocate or of the accused before the finding, it is impossible to continue the trial, the court martial shall be dissolved." 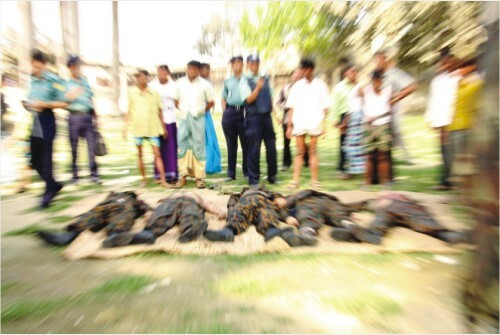 Media reports suggest that more than 1,800 BDR personnel are still missing. A good number of them might have committed crimes at the time in question. It may be impossible to track them down in the near future. The possibility of their remaining underground is great. It is difficult if not impossible for VIPs to hide. It has been possible for ordinary commissioned officers wanted by the law to remain hidden. The lower the profile of a person, the easier it is for him to hide. 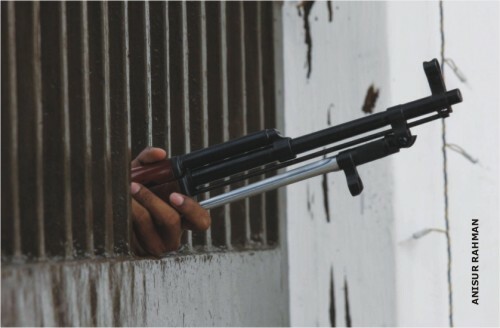 Since a few hundred BDR personnel are likely to be charged with various offences, it is quite possible that a few dozen will remain missing during trial. What will the authorities do then? Will they make new provisions to try the accused in absentia by a court martial? Will they try some by court martial and those absent in civilian court? Will they try all the accused in civilian court? During recent debates the question of a fair trial in a court martial was raised. But there is no possibility of a miscarriage of justice if service laws are followed. The scope of the accused to prove his innocence is very wide. Among other privileges the accused "shall be allowed free communication with his witnesses, and with any friend, defending officer or legal adviser whom he may wish to consult." In a court martial the accused may at his own arrangement engage a "counsel" who is any person authorised to practise with right of audience in a court of sessions. If he is not represented by a counsel, the convening officer "shall use his best endeavours" to ensure that the accused, if he so desires, is represented by a suitable commissioned officer, known in a court martial as the defending officer. This is done without charging any fee from the accused. The accused may also seek the services of any person known as "the friend of the accused." In a court martial the friend may advise the accused on all points and suggest the questions to be put to the witnesses, but he cannot examine or cross-examine witnesses or address the court martial. There are other rights with regard to time for preparation of defence, seeking the advice of the judge advocate of the court martial on certain points, medical services, etc. Some of the rights may be waived by certain authorities. The right to waive these kinds of provisions should be used sparingly in the interest of transparency and justice. In my opinion, sometimes miscarriages of justice do take place, but its possibility in a court martial is neither more nor less than in a civilian court. 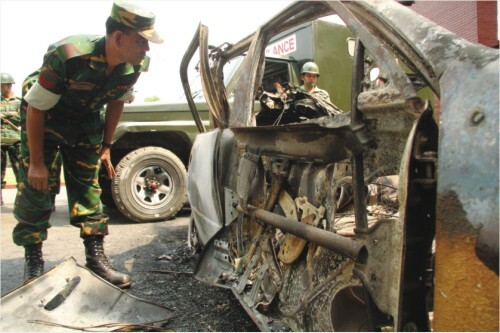 There is a need to make a gazette notification if BDR personnel are to be tried by a court martial. The law is very clear. 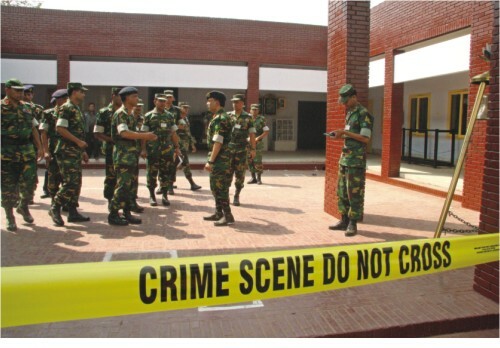 The government may by notification in the official gazette apply all or any provision of any of the three service laws to any force raised and maintained in Bangladesh (Section 5 of Army Act & Air Force Act). A question has arisen about the validity of the notification in view of Article 35(1) of our constitution because the notification, if made, will obviously be after the commission of the offences under discussion. The BDR was established as a "force" [Section 4(1)] by President''s Order No 148 of 1972. By an amendment which received the assent of the president on September 17, 1973 (Act XXI of 1973) the BDR was declared a "disciplined force" within the meaning of Article 152 of the Constitution. Therefore under Article 45 of the Constitution, Article 35(1) is not applicable to the BDR personnel. But if a notification is made, a few previous incidents make me think that some lawyers, in good faith or otherwise, are most likely to file a writ petition stating that the constitution might not have provided a bar to give a retrospective effect to laws in certain cases, but it does not expressly permit anyone to do so, and that, as a matter of principle, such laws should not be made. As far as I can see, the gazette notification will prevail but the matter may be too complicated for me to understand. If a petition is made, the highest court will give the decision. By then a lot of precious time will have elapsed. Some people have argued that army officers are emotionally charged because their colleagues have been killed. Therefore, they can't be neutral and fair during trial by a court martial. I do not think that our officers will ever use a court martial as a tool for taking revenge. 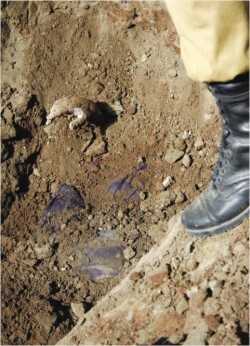 The authorities can always detail officers who are not closely connected to the victims. Though not necessary, they may even think of convening a court martial under the Naval Ordinance or the Air Force Act. The members of a court martial must be officers of the service under whose law the court martial is convened. The accused can be tried by a panel of naval officers or air force officers if considered necessary. I think I once heard someone say that a court martial should be convened because military personnel were the victims of the crimes. As a matter of rule, a trial does not take place under the law to which the victim of the crime is subject but it takes place under the law to which the defendant is subject. The misunderstanding is perhaps the result of the fact that a military person committing an offence where the victim is also a military person can be tried by a court martial in place of a civilian court. Here, the essential element is that the defendant is subject to service law. Persons not otherwise subject to service law may be brought under service law for trial by a court martial under very special circumstances as in "active service" i.e. in a warlike situation or for some specific offences such as certain offences under the Official Secrets Act 1923. (Section 2 of Army Act). The judge advocates of the armed forces and their civilian counterparts do not always agree because they are trained and brought up differently. I had the opportunity of brushing shoulders with both the groups. The former believes in the maxim "Justice delayed is justice denied" and the latter in the maxim "Justice hurried is justice buried." The former therefore is always agile, active, and sometimes in a hurry. The latter is more pensive and sometimes leisurely. We are yet to see the final results of an important case initiated in a civilian court in 1996. All parties concerned will hopefully agree where and how the trial proceedings ought to be instituted. With the immense popularity of the government, with the dexterity of the army leadership, with the sagacity of the law minister, with the massive support of the masses for an immediate (also quick but not hurried) trial, and with the dynamic and bold leadership of the prime minister, I am sure that the authorities will choose the right course of action insofar as the trial is concerned. Muhammad Mahbubul Huq is an Advocate.